The IT industry has long replaced copper with optical fibre for transmission over long distances and high-volume data transmission. 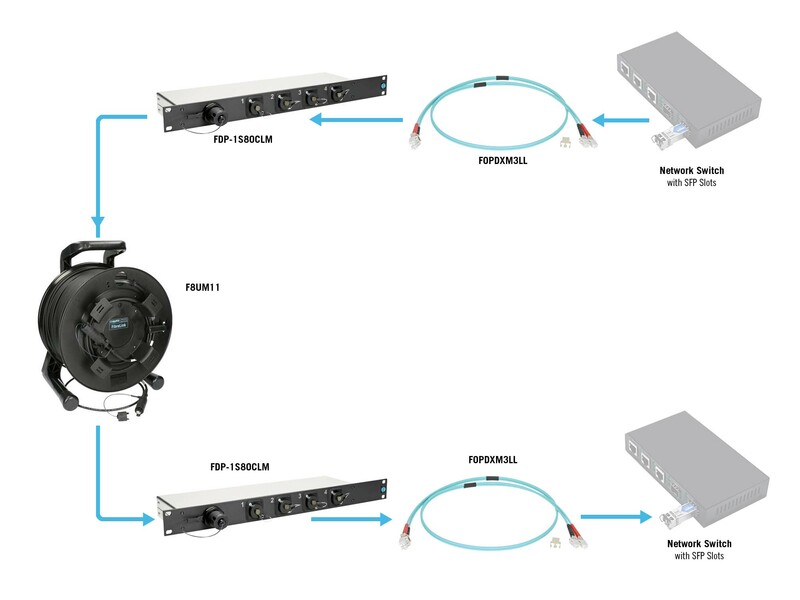 Because of this, a wide variety of standard network components are available for setting up an optical fibre network. KLOTZ AIS has the ideal optical fibre cables for your needs in its extensive catalogue! A popular choice in widespread use is a star setup with two network switches with SFP slots (small form-factor pluggable, also mini-GBIC). 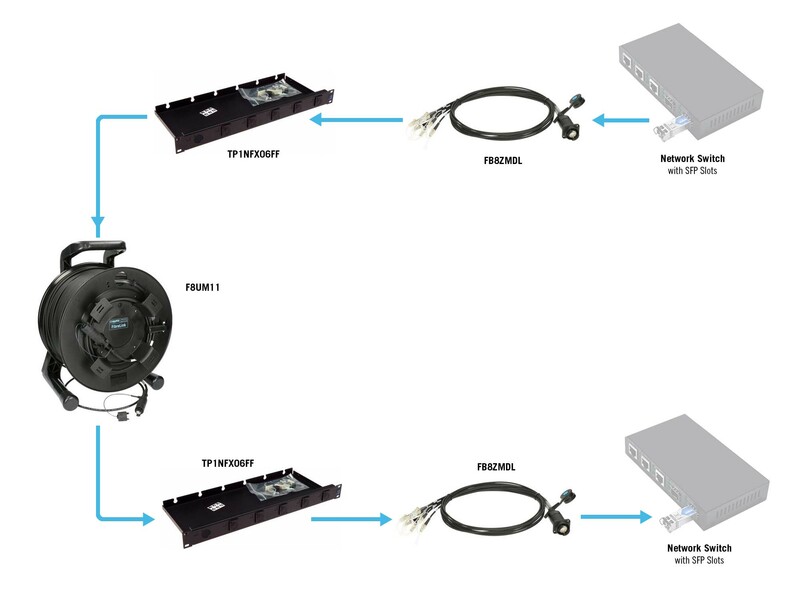 Each is connected to an SFP+ module suitable for the application, which contains the laser diodes and usually has LC duplex sockets. With this interface, it’s simple to connect matching KLOTZ FiberLink cables to cover the distance to the second switch. We use this system ourselves at KLOTZ AIS to link up our locations in Vaterstetten and Vilchband. The EXT2K11S Extender Set is way out ahead – up to 10 km ahead, in fact! Network data (DanteTM, Artnet etc.) are input and output through two RJ45 connections on both transmitter and receiver. 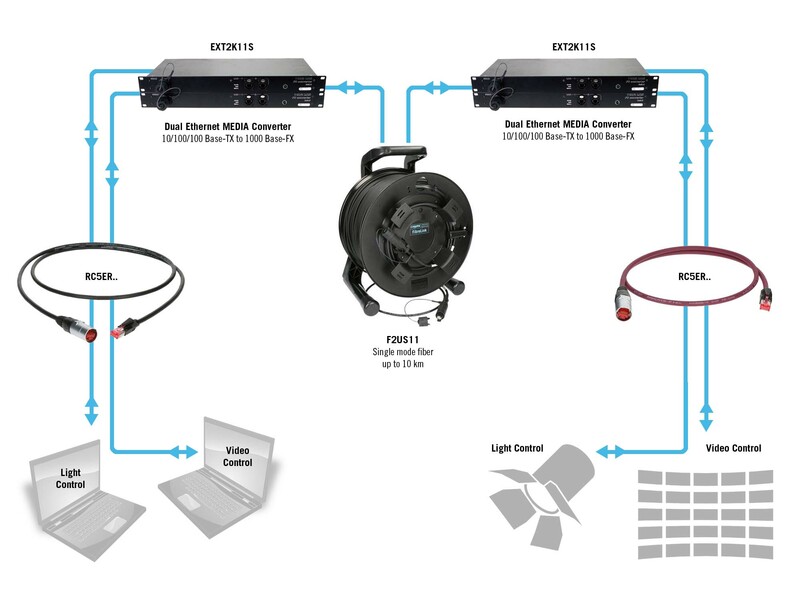 The units are connected by our FiberLink single-mode cable, and each have a built-in SmartBeam DUO connector designated for the purpose. The technical facts speak for themselves: compatibility with standards IEEE802.3 10Base-T, IEEE802.3U 100Base-TX/FX and IEEE802.3Z 1000Base-T, supports QOS and VoIP, full duplex and half-duplex operation. And thanks to MDI/MDIX support, the need for crossover cables is eliminated.